Hostels are good. Food is great. But the libraries, classrooms could be better. Overall infrastructure can be improved. EEC has a good infrastructure with respect to the lab and other facilities. The students are allowed to have access to the facilities at flexible timings. 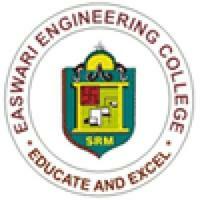 The classrooms, libraries and laboratories at Easwari Engineering College, [EEC] Chennai are all spacious. The food is good and hygienic in the canteen. The cost of the hostel and food is reasonable when compared to other institutes and prices outside. Few departments (CSE, ECE, MCA, Maths, and Chemistry) are recognized nodal centres and active research activities are carried out. Well established research laboratories are available in all the departments. Libraries are available in all the departments with a total collection of 18995 Titles and 71031 Volumes. All Faculty members are provided individual cabins with terminals which has internet facility. Girls Hostel (SivaSakthi, Om Vinayaga, Chellamal) available within the campus with a built up area of 10580 sq mts. Boys Hostel with an area covering 175.586 sq mts available adjacent to the campus. Recreation Rooms with Television that is common. Magazine Section delivers all kinds of newspapers both English and Tamil. Yoga Section for calmness of mind and body. Wifi Enabled for internet access in all the rooms. Department Stores within the hostels 24 hours power back up. Play ground with an area measuring 12150 sq.mts available within the campus. An active sports committee functions as a unit to emulate the achievements of every year. Awards and rewards during the sports day celebrations are given to outstanding sports performers. Open Air Theatre measuring an area of 75930 sq.mts available which is in turn a platform for the students to showcase their talents? An exclusive indoor auditorium with three different halls measuring 1500 sq. Mts available where various programs like workshops, FDPs, conferences are happening regularly. Eco friendly campus encompassed with plants and trees. Split A/C & Window A/C in required rooms and laboratories. CCTV Cameras available in the campus. Food Courts effectively functioning to satisfy the needs of students and staff with a variety of delicious food items at affordable rates. City Union Bank is situated in a sophisticated building within the campus with an ATM facility for Staff and students for transactions on all days. 24 hours functioning multi speciality hospital adjacent to the campus.